Dear friends and followers, big thanks for stopping by and staying tuned! A couple of weeks ago I received some samples from the importer and distributor Clydesdale. 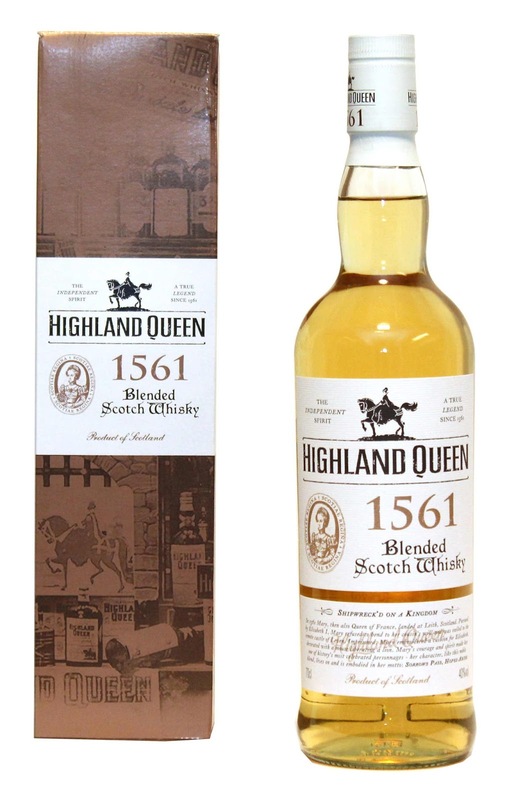 Four of the samples are whisky from the quite newly revived brand "Highland Queen"! Please do feel free to read all about its history and their huge portfolio here. 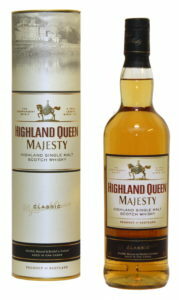 A whole bunch of these Highland Queens are available at the Swedish state monopoly, and you can view them here. The first two are blended scotch and the last two are single malts. Ok, here we go! Quite spirit-y (not at all new make, just very young-ish), a mix of new american oak and somehow uncharred wood, burnt vanilla and a slight touch of salt liquorice. Definitely older whisky in here. For me the grain components are in front of the malt components. Still, in comparison to the previous everything is more integrated in this on. Medium big on vanilla, something fruit-y is popping out, probably pear (ripe but not over-ripe), the liquorice is here too but the fruit and the vanilla are in the front. In general, very restrained. Citrus fruits are in the front (sort of lemon curd). We also have elder flower soft drink. There are slight touches of vanilla hiding behind the citrus-y stuff. Reminds me of Bushmills 10yo, but with less vanilla. Actually, I prefer the nose of 1561 before the nose on this one. That’s better! Definitely more body and a more fat foundation. Compared to the nose on this one, the flavours of the malt components are actually in front of the flavours of the grain components (meaning the tables have turned). However, in the center of attention is a bitterness (burnt sugar syrup and bitter almon also here) that hides other stuff beneath. Even so, I do prefer the taste of this one compared to the previous. Very soft. Going from the 1561 to this one is a dream. Not a big body/foundation though, it’s kind of thin. Also here we have burnt vanilla. However the quality in this one is that it does have some slight touches of milk and honey. It tastes kind of like a 5-6 year old malt. The nose is better than the taste. Mmm, that’s better! Focus is on vanilla, milk and full-fat whipped cream. We do have bitter almond. Also, there is a tad of salt-y-ness. There is also a slight touch of elder flower. However it is a bit thin (there is not much deapth). This one actually does taste like Bushmills 10yo, but with less deapth. 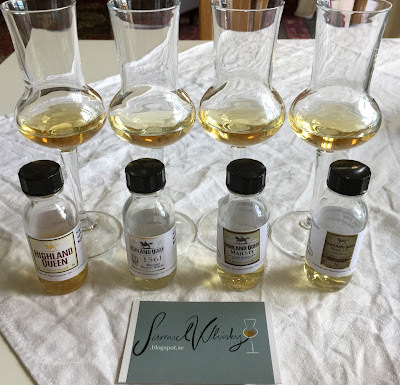 A very easy going, ”simple” 16yo; it does not at all taste of 16 years. 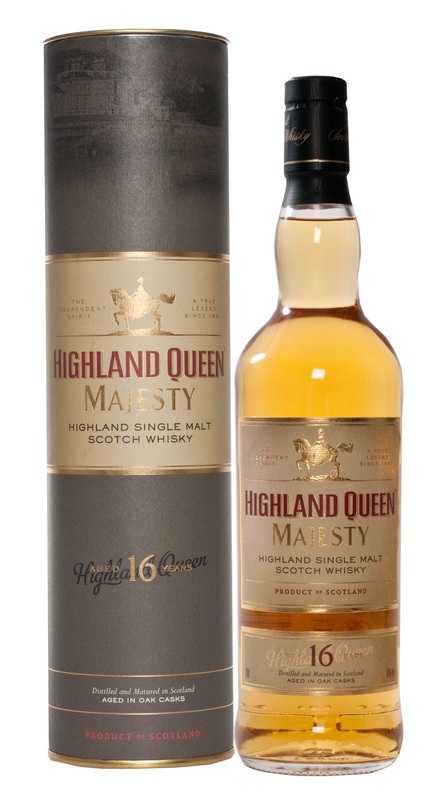 Of course I do prefer this one in front of the regular Majesty, however being a 16yo single malt it does not really have a lot of personality/character. To sum up: Out of the first two I would definitely buy the 1561. Out of the last two I would definitely buy Majesty 16yo. Choosing by nose I would go for 1561 before the regular Majesty, and choosing by taste I would go for Majesty 16yo before the regular Majesty. Big thanks to the nice people at Clydesdale for sharing these samples of Highland Queen and for the opportunity to review and try them! Sláinte!